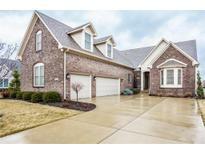 Below you can view all the homes for sale in the Bridgewater Club subdivision located in Carmel Indiana. 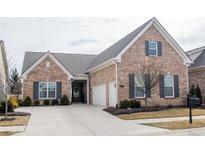 Listings in Bridgewater Club are updated daily from data we receive from the Indianapolis multiple listing service. To learn more about any of these homes or to receive custom notifications when a new property is listed for sale in Bridgewater Club, give us a call at 317-427-7201. Finished Lower Level features a Large Recreation Area with wet Bar, Bedroom with full Bath plus Office area. Must See! MLS#21631809. ERA Real Estate Links. Don't miss this fabulous home! MLS#21628592. ERA Real Estate Links. Bonus Room/Bath/bedroom. Lower Level w/F. room/Wet Bar/bedroom./Bath/Storage. MLS#21624048. Keller Williams Indy Metro NE. Located in the highly coveted Westfield School District. Welcome Home! MLS#21626666. Keller Williams Indy Metro NE. Idyllic outdoor living offers scenic views from the expansive upper level balcony and main level covered porches overlooking legendary Pete Dye's Bridgewater Golf Course. MLS#21623375. Encore Sotheby's International. Lawn care included! HVAC 5 years. MLS#21625873. RE/MAX Legends Group. Enjoy maintenance-free living & all the amenities The Bridgewater Club has to offer! MLS#21615872. 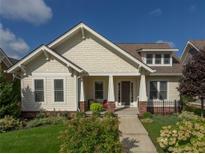 Keller Williams Indpls Metro N.
The furnishing, with the exception of a few heirlooms, is negotiable. MLS#21615888. RE/MAX Legends Group. Quality and detailed woodwork throughout this beautiful home. MLS#21618806. ERA Real Estate Links. Lot is situated where you don't have any golf ball concerns and a great backyard with beautiful trees. MLS#21617391. ERA Real Estate Links. Enjoy Indiana's beautiful seasons while hosting parties on the expansive patio overlooking the 16th green of the extraordinary Bridgewater Golf Course. MLS#21616570. Encore Sotheby's International. New stamped patio with stunning views of the pond, pergola with fireplace. This is Home! MLS#21617320. F.C. Tucker Company. You will have access to Bridgewater Country Club - club house, pool, exercise & dining. Furniture is negotiable. MLS#21617363. F.C. Tucker Company. Includes Social Membership to The Bridgewater Club. MLS#21616351. ERA Real Estate Links. Golf community with social activities. Why build? MLS#21616905. Encore Sotheby's International. "Move in Ready" So if your desire is to live in a Prestigious Golfing Community don't let this Home get away! MLS#21615508. RE/MAX Legends Group. Come personally tour these unique Cottage homes and the Bridgewater Clubhouse! MLS#21616134. ERA Real Estate Links. Come Explore You Won’t Be Disappointed. MLS#21615890. F.C. Tucker Company. Unlimited 9 hole golf and all club amenities, swim, tennis, workout/fitness classes included. Trade your existing home! MLS#21610425. ERA Real Estate Links. Convenient to shopping, dining+Bridgewater golf course! MLS#21608337. F.C. Tucker Company. Still time to make many selections including carpet, cabinet colors, lighting, appliances, tile. MLS#21607309. Mentor Listing Realty Inc.
Includes social membership to the Bridgewater Club. MLS#21606047. Berkshire Hathaway Home. Too many features to list. Must see to fully appreciate! MLS#21604201. F.C. Tucker Company.